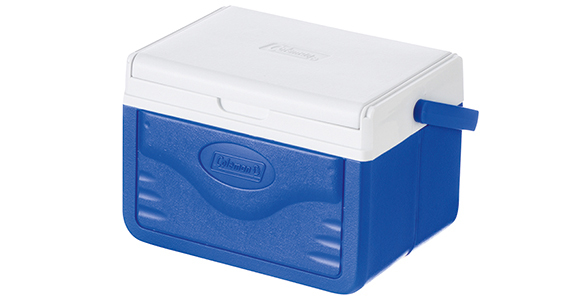 A cooler designed for refreshments, it is perfect for 6 cans but ideal too if you want to take a packed lunch. It has a tough and robust construction with a wide base for increased stability and is so strong, it can be used as a seat. The lid is a practical, reversible design and can be used as a tray with two can recesses to secure your drinks; it features a safety locking system to secure the contents in transit and enhance the performance. The exterior is textured to resist scuffs and scratches and the materials used are easy to clean, resisting stains and odours. PU foam insulation offers superior insulation performance as it conforms to the contours of the cooler. Insulation is PU foam CFC & HCFC free. Thick PU foam provides effective insulation, the injected PU foam fills every gap, therefore there are no cold spots even on corners. Outer box polypropylene, polypropylene is extremely rugged and resistant to acids and chemical solvents. Inner box polyethylene, its smooth surface is easy to clean.